Welcome to your new Sea Clusion at the beach. 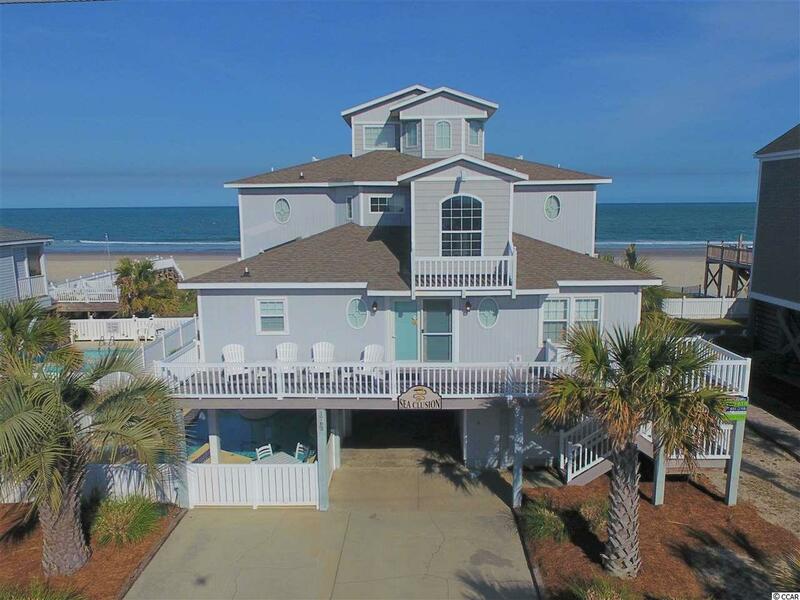 This 7-bedroom, 5-bath beach home sits on one of the premier large oceanfront lots on the South-end of Garden City Beach, South Carolina. This home underwent a major renovation in 2016. During the renovations, the flooring was replaced throughout the entire house. The kitchen and bathrooms were completely gutted. The sheet rock, insulation, electrical, plumbing and interior doors were replaced on the first two floors (top two floors were added in 1995). All furniture was replaced and picked out my a professional interior decorator. A private heated pool helps generate great rental income and makes this house an excellent investment property. This beach home is in immaculate shape and ready for a new owner. Contact the listing agent, or your Realtor, to set up a private showing. Directions: From The Dunes Realty Office Located At 128 Atlantic Avenue In Garden City, Continue East On Atlantic Avenue To The Intersection Of Waccamaw Drive. Turn Right Onto South Waccamaw Drive And Continue For Approximately 2.6 Miles. Sea Clusion Will Be On Your Left.